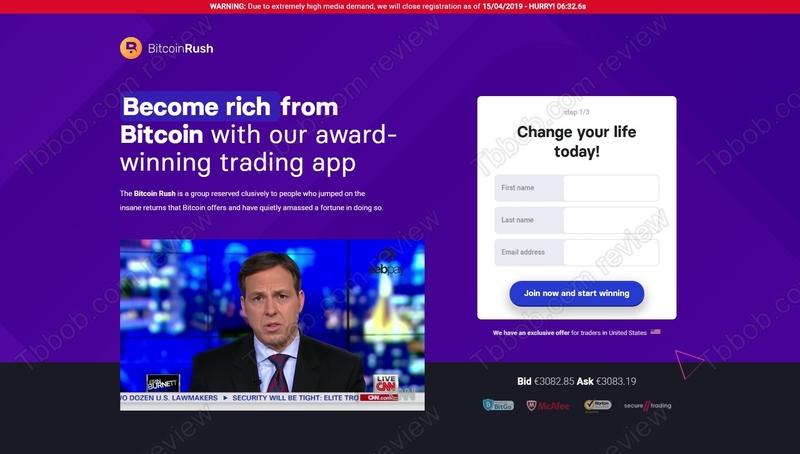 This review provides proofs that BitcoinRush is a scam that has nothing to do with real bitcoin trading. Bitcoin Rush is supposed to be a group that will provide you with a bitcoin trading system that can make you more than $1000 per day. You can join the group for free. So, can you really make that much money for free? Unfortunately, BitcoinRush is just a scam, a recycled one. As you can see on our picture, it has been presented under many different names, like Bitcoin Trader, Bitcoin Future or Crypto Revolt. This scam has been here for a long time, it is just changing graphics and names. A clear proof that Bitcoin Rush is a scam is in the testimonials. 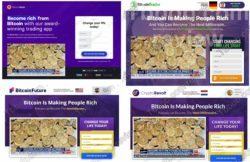 The website of the program features several stories of people who supposedly are making money with it. But all these testimonials and reviews are fake. Our picture shows that these testimonials have been fabricated with stock photos, they are not real. The modus operandi of all these scams is the same. 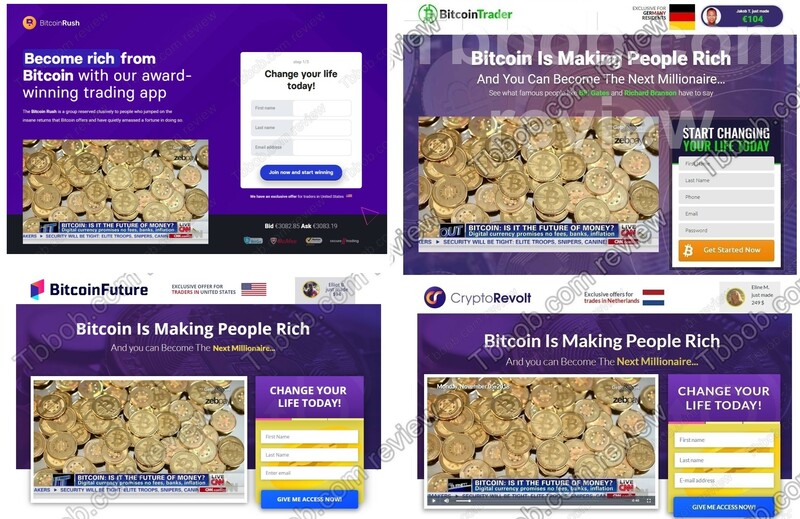 They promise you effortless and big profits in crypto trading. They claim that the system is free, but it is not true. Once you sign up, they will ask you to deposit at least $250 with a broker that will be dictated to you, you will have no choice. This broker will be unregulated and will make sure that you never see your money again. BitcoinRush is an infamous old scam with a new name, it is made to take and lose your money. Stay away from it! If you really want to try cryptocurrencies trading to make money, start on a free demo with a regulated broker. On the demo you will be able to see whether you are able to build a profitable strategy that is needed for successful trading.